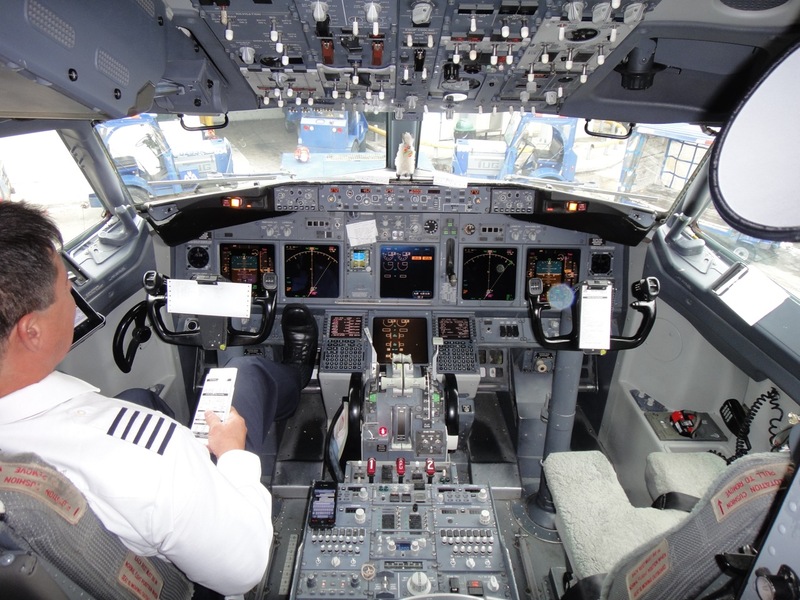 Flight deck of a Boeing 737. 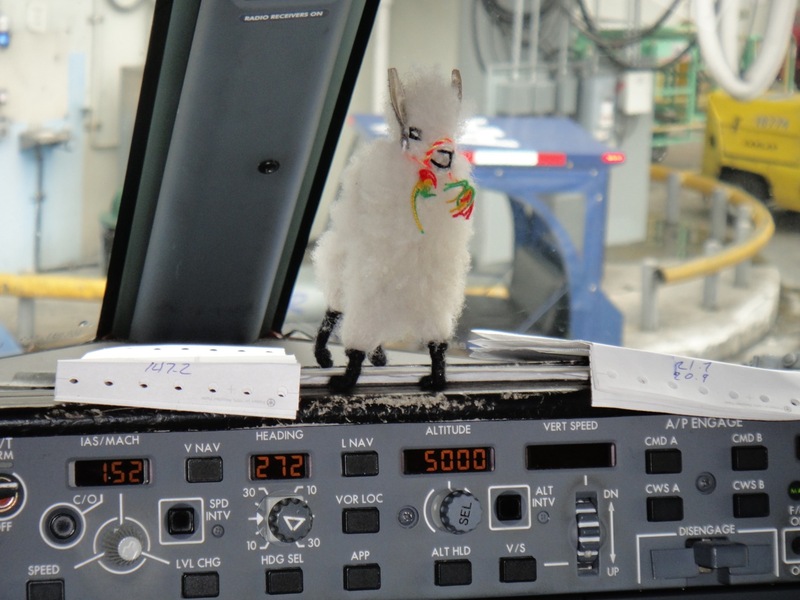 Llama on the console of 737. I thought that was a nice touch. The pilot explained it was the turbulence indicator. “If it falls over, we have to slow down.” So, another great flight in the books. Thanks again to American Airlines for delivering me safely to my destination.